^ Neate, Jill (1990). High Asia: An Illustrated History of the 7,000 Metre Peaks. Seattle: Mountaineers Books. pp. 1–4;14–15. ISBN 0-89886-238-8. 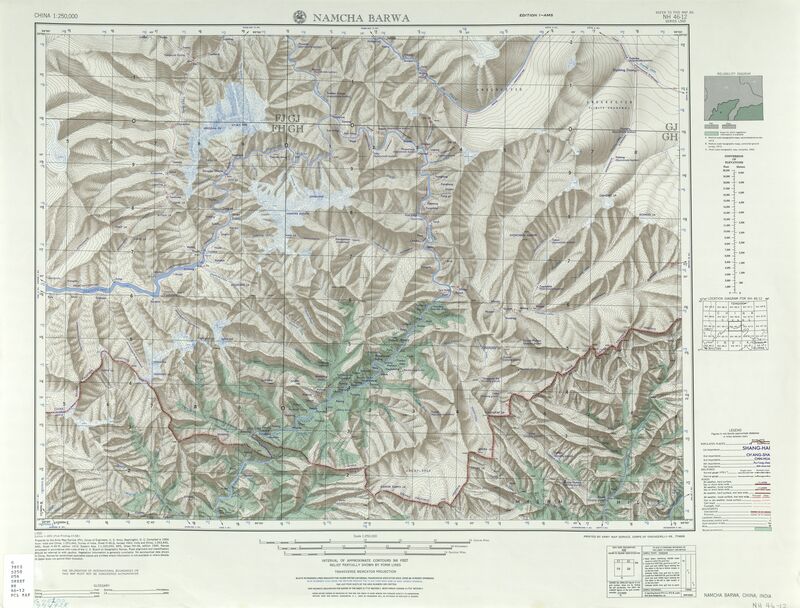 ^ Namjagbarwa Mountaineering Map (1:50,000), Chinese Research Institute of Surveying and Mapping, China Mountaineering Association, 1990, ISBN 7-5031-0538-0. ^ American Alpine Journal 1993, pp. 279-280. ^ Neate, 1990, op. cit..
^ “Namcha Barwa”. American Alpine Journal (Boulder, Colorado: American Alpine Club) 33 (65): 285. (1991). http://c498469.r69.cf2.rackcdn.com/1991/285_china_tibet_aaj1991.pdf 2011年5月19日閲覧。.